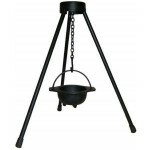 This tripod stand for small cauldrons isolates the cauldron protecting surfaces from heat. 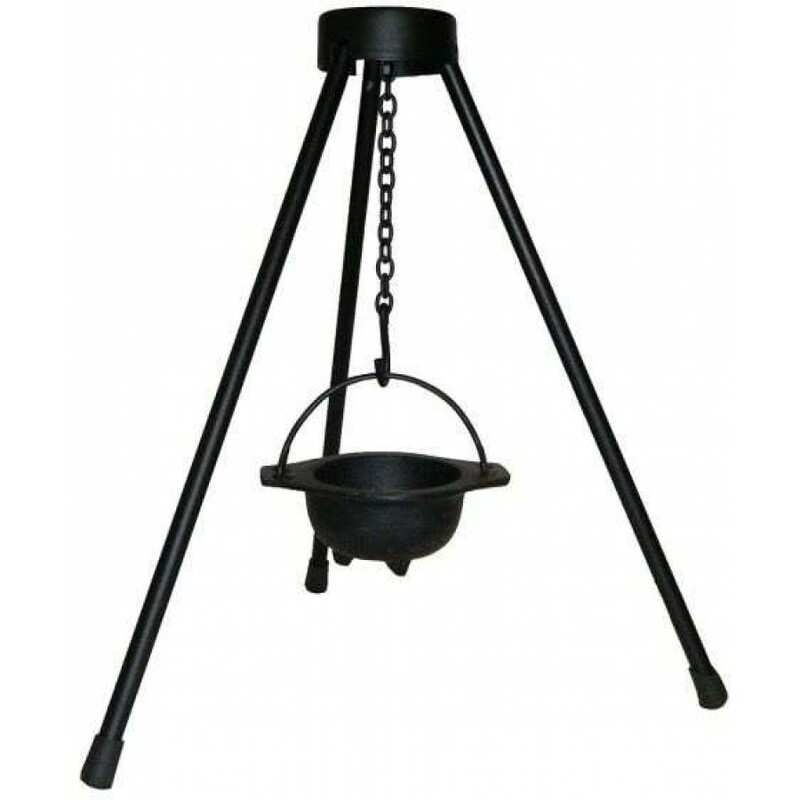 A metal tripod stand for hanging small cauldrons. 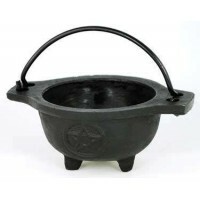 It stands about 13 inches tall, and the legs take up about 12 inches of counter space when extended. 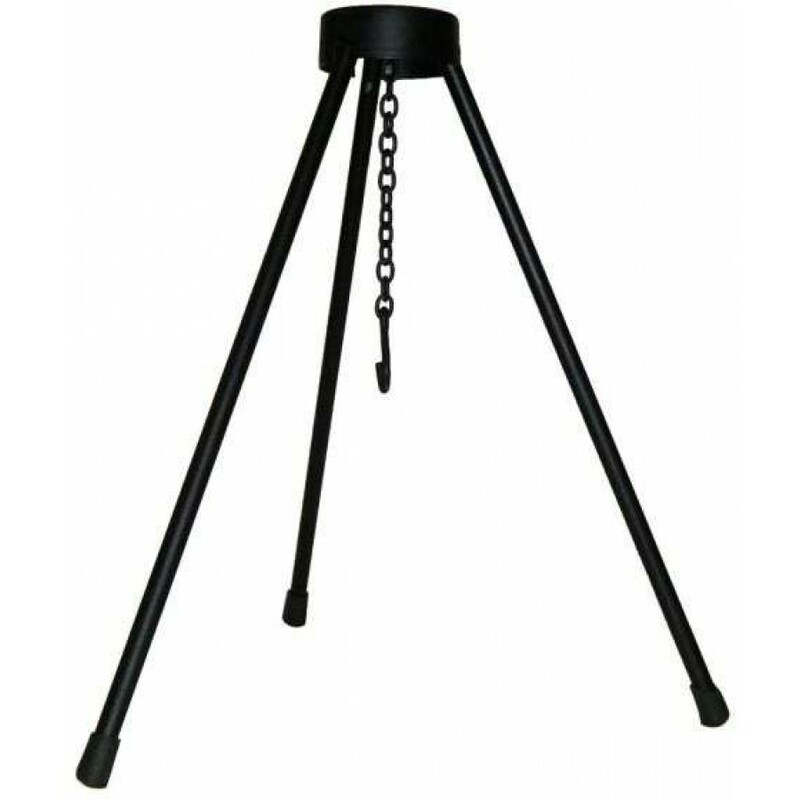 Legs fold back to the center for easy storage when not in use. 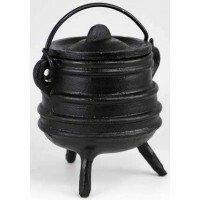 There is about 6 inches of clearance below the hook, so it will only work with smaller cauldrons that are no more than 6 inches tall including the handle. 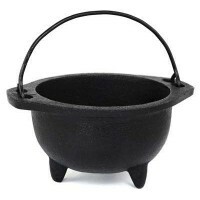 Chain could be adjusted shorter to hold slightly larger (say 8 inch) cauldrons. 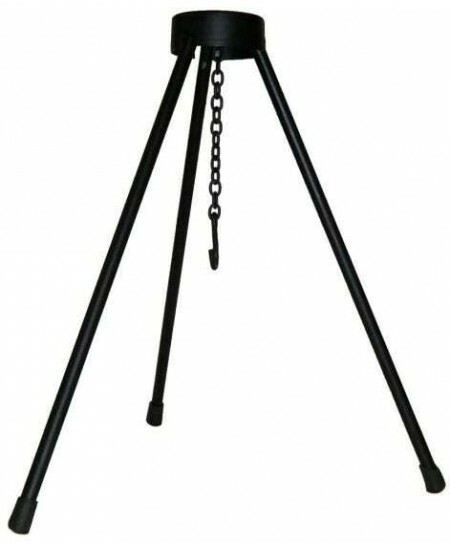 Item Number: RV-BR100 | Approximate Size (Inches): 12.00 wide x 12.00 deep x 13.00 high | Approximate Shipping Weight: 2.00 lbs.